We provide a wide range of services, all with an exceptional level of customer attention. 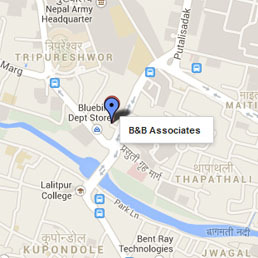 As a client of B&B Associates, you will never be just another job on a production line. We believe that all our clients are unique with different needs and goals. We, therefore, treat our clients with respect for their own priorities. We recognize that every situation is different, and therefore take time to understand our business partners' operations. This involves a lot more than just number crunching, so we integrate our diverse range of qualifications, skills, experience, technology, tools and resources, to cater for each individual need. At B&B Associates we believe that, in today's increasingly complex business world, financial problems can no longer be viewed in isolation. To meet the changing needs of business, accountants must be professional business advisers. We take an active approach so that we can anticipate problems and identify opportunities for you. It's true we provide general accounting, taxation, legislative compliance and basic operation needs, but it does not stop there. We believe it is important to encourage our business partners to grow, to work pro-actively to seek and capitalize on opportunity, and to develop and achieve long term goals, profitably. We provide a number of unique services to assist in this process. We invest in technology and in developing our own people's skills to constantly improve our service.